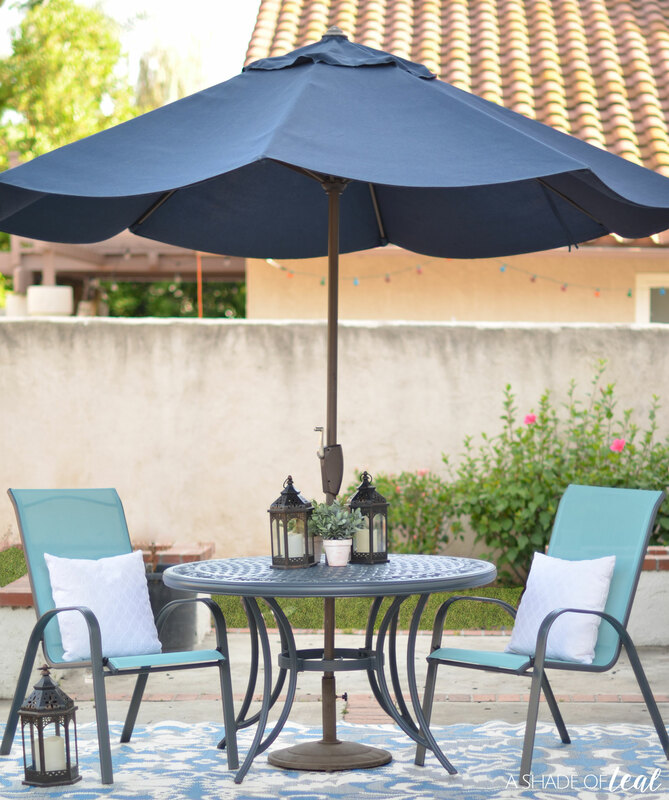 As you may know, I’ve been slowly updating my backyard and it’s getting pretty close to being done. Since my parents have loved seeing the progress of my backyard they recently asked me to help with theirs. 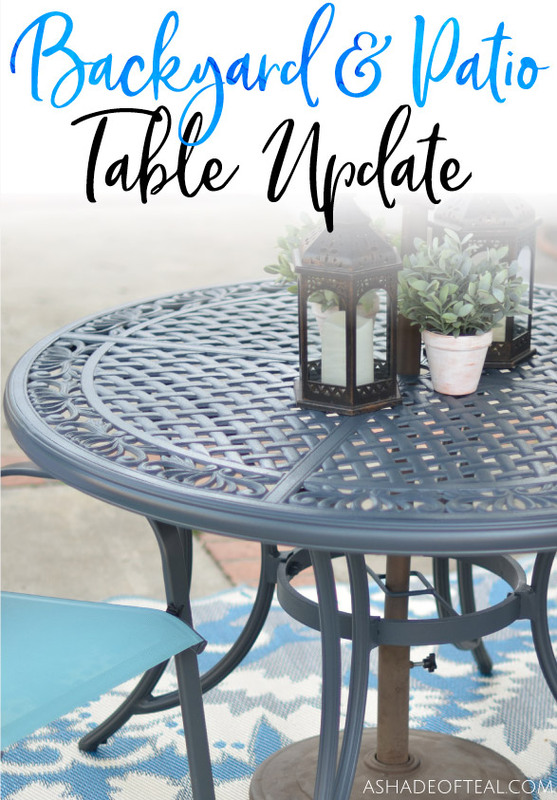 So I’m giving them a mini Backyard & Patio Table Update! 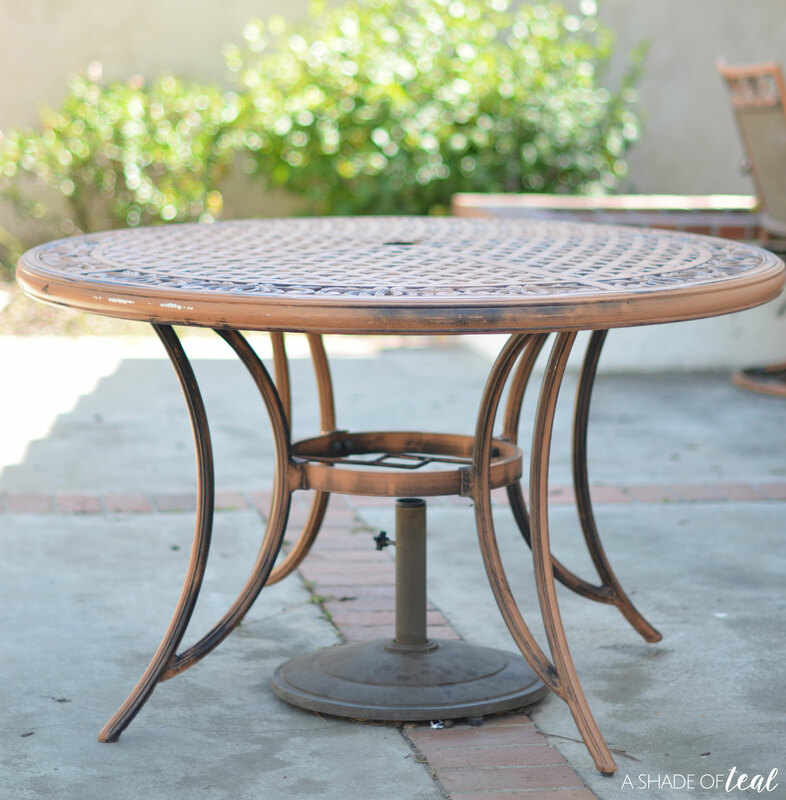 First things first, I’m updating their metal patio table. It was desperately in need of a new coat of paint since the sun has taken it’s toll. It use to be black with a slight bronze distress, but years later it was looking pretty bad. 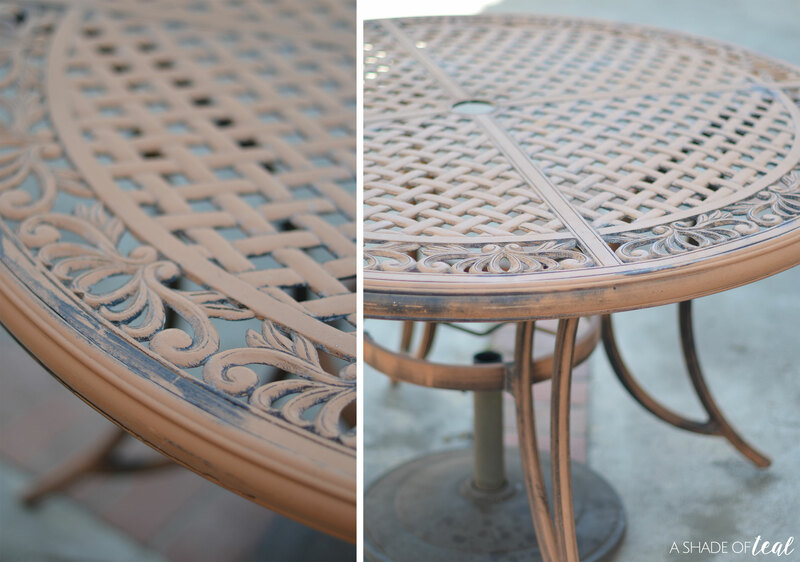 To paint the table I used an exterior semi gloss paint with my Super Finish Max Sprayer from HomeRight. 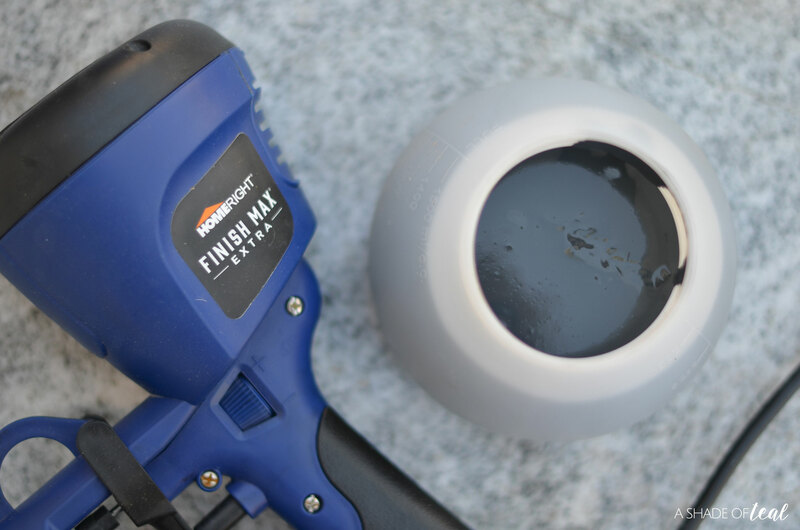 It’s the best paint sprayer for any project at hand! 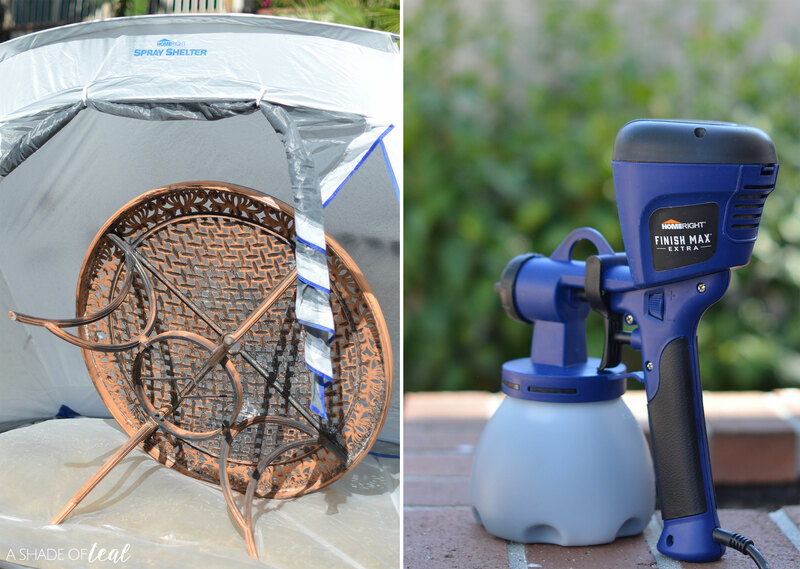 I also used my larger spray shelter which always help, especially on those slightly windy days. I only applied 2 light coats with my Super Finish Max Sprayer and it started to look brand new! 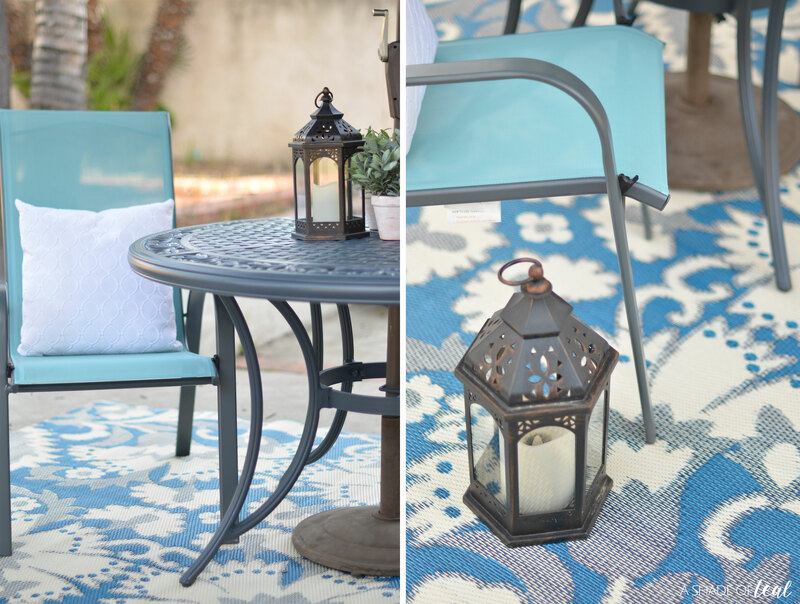 In addition to the table makeover I added a new outdoor rug, new patio chairs, a new umbrella, and some lanterns. 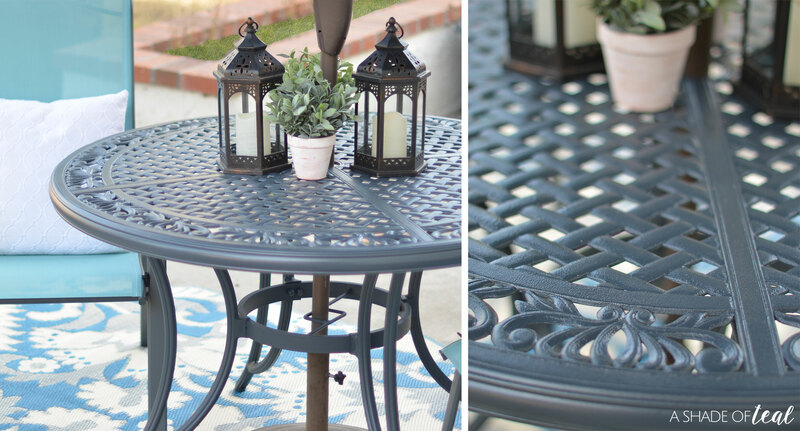 Their patio is staring to look so much better and it all started with a simple coat of paint! 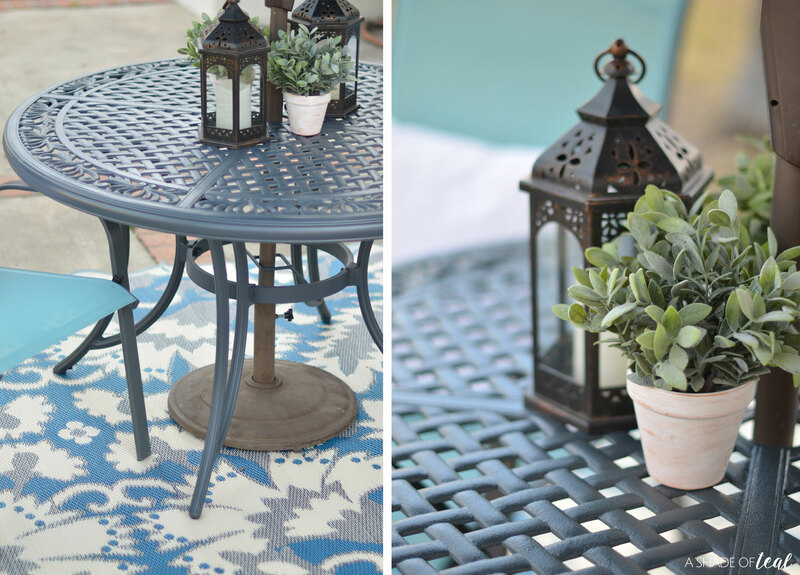 Don’t you think their backyard & patio table looks better? 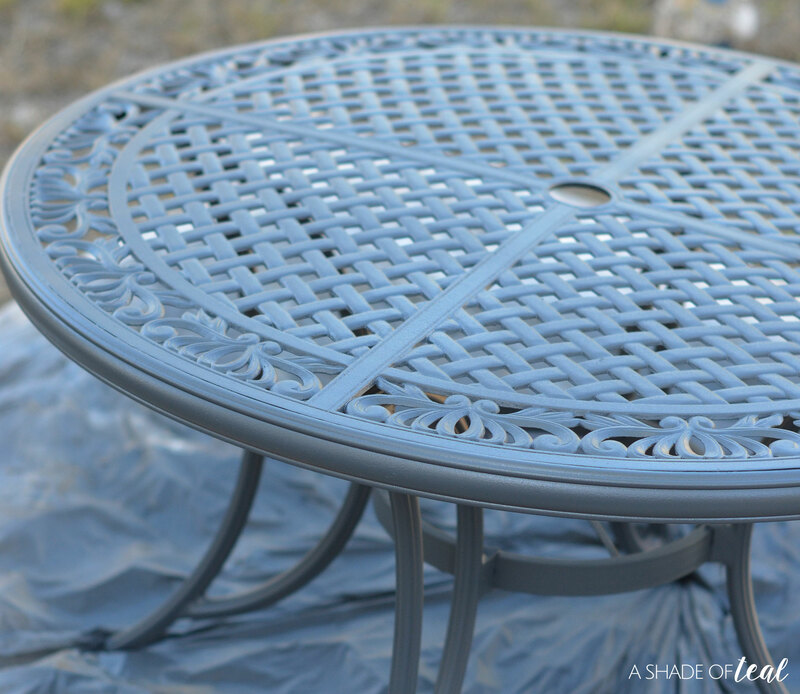 If you want to see how I painted the table then head on over to HomeRight’s DIY Blog here to learn in detail how to use the Super Finish Max Sprayer. Looks very quaint, relaxing even.